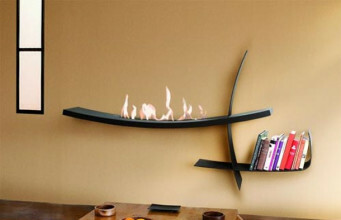 Hanging bio fireplace are a good choice both for the owners of large as well as the small interiors. 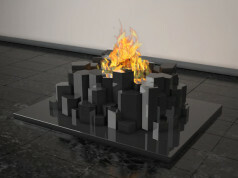 Such ecological fireplaces take up little space and some models can even visually enlarge the room. 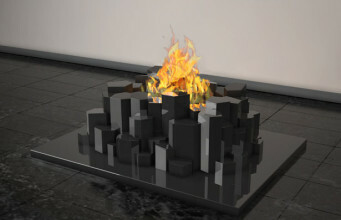 Their installation is very simple, it is just enough to hang them and enjoy the charms of the fire. Taking into account the structure of these devices, we can choose between flat fireplaces, those adjacent to the wall as well as the protruding ones. The former, with their structure, resemble the painting. 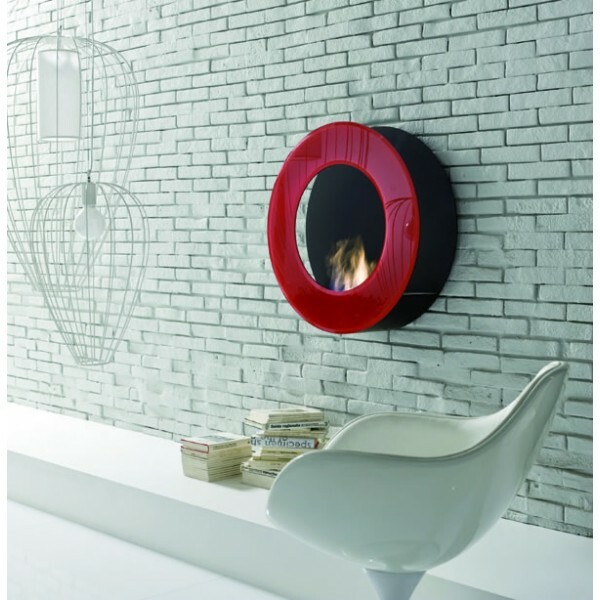 The insert of this fireplace is built into the recess or is so shallow that it does not require additional recesses in the wall. While the latter, a more protruding have the burner which separated with a shielding glass, stands out from the wall surface. 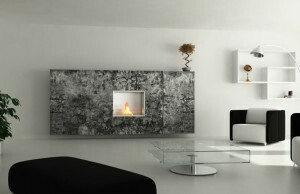 A popular shape of the wall mounted fireplaces are panoramic rectangles. In this format we may admire the fiery tongues in all its glory. There are, however, more sophisticated forms, such as regular circles or triangles. 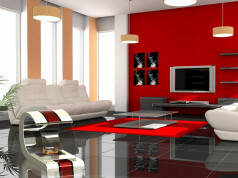 Hanging fire decorations create a coherent whole in the modern as well as the classic interiors. 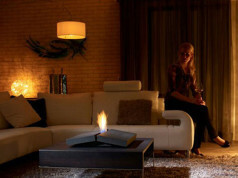 Bio fireplaces with a thick decorative frame, thus creating a dynamic picture of the living fire, will present interestingly in the rooms decorated in a traditional style. 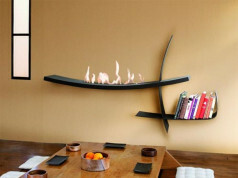 Ecological wall-mounted fireplaces are mostly constructed of steel, ceramic and tempered glass which gives them lightness. 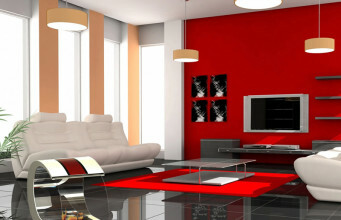 Thanks to this, they present impressively on the wall and yet do not overwhelm the interior. 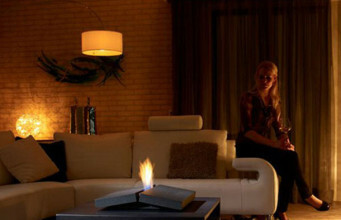 For what we value bio fireplaces?